If you find your mood drops with the thermometer, you are not alone. Seasonal affective disorder (SAD) is a common condition that comes and goes with the seasons, usually starting in the fall and continuing throughout the winter. 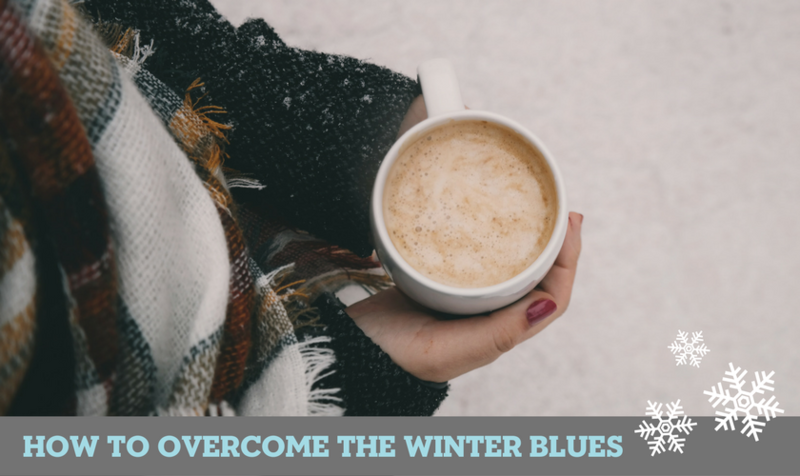 It’s known as the “winter blues” for a reason, and you should take it seriously; your mood and mental health are an important part of who you are and how you function throughout the year. Although the specific cause is unknown, there are several triggers for the winter blues. The reduced exposure to sunlight is often the biggest culprit as it can disrupt your body’s internal clock. The shorter days can cause a drop in your levels of serotonin, a neurotransmitter responsible for mood, and melatonin, a hormone that helps control your sleep patterns. Here are five tips that may help alleviate the worst of your symptoms. Since your body is craving daylight, up your dosage of sunshine by opening up your blinds and curtains and spend more time in rooms with natural light. Increase the effect by sitting next to a light box, an artificial light that simulates sunlight. To help ease yourself out of bed, use a dawn simulator. This device, which gradually brightens the light in your room over a set period, uses light to bring you out of sleep and into your day. A brisk 30-minute walk each day can do wonders for improving symptoms of mild to moderate depression. To give yourself the maximum benefits of better social functioning, increased vitality, and regained mental resiliency, make sure to get moving under bright lights or during mid-day outside. There’s a reason why birds fly south for the winter, and it’s not just temperatures. They crave the longer days, too. Research shows your general mood can be enhanced just by planning a vacation, so get the benefit of the plan and the sunshine by making sure your trip includes plenty of both. Your body is naturally craving sweet carbohydrates, so you have to be careful about what you actually eat. Certain foods, like dark chocolate, can give you the boost you need without triggering anxiety or depression. When in doubt, drink a full glass of water and reach for lean meats, leafy greens, and whole grains. If you are affected by SAD, rest assured that your body’s reaction to the seasons is not in your head. You are just a little more solar-powered than the general population. Now that scientists know what you are missing, use the above tips, plus your doctor’s recommendations, to get the help you need.